This class will begin with pranayama and asana focused on releasing negativity that has accumulated in the body and mind. We will move into asanas to reconnect you to your own Inner Self, Strength and Stability. 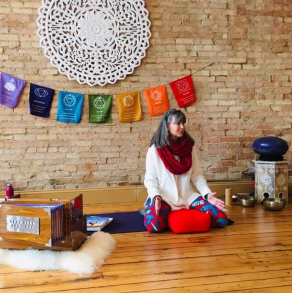 We will conclude with a Very Looooooong Savasana where the sounds from Ancient Himalayan singing bowls, a rare gong made of over 26 singing bowls, and Koshi chimes will wash over you and raise your vibration high.